This is a Korean name; the family name is Kim . Kim Chol-man (김철만; 2 November 1920 – 3 December 2018)  was a North Korean politician and military official. He was a member of several important committees and organizations, including the Central Military Commission, the Politburo, and the Second Economic Committee. He was at the forefront of the North Korean munitions industry, the country's economic base. In old age Kim was no longer considered a major player in North Korean politics, having retired from most of his important posts. 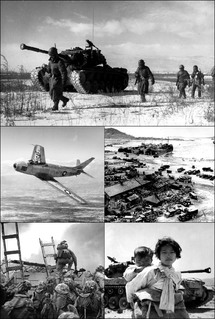 The Central Military Commission of the Central Committee of the Workers' Party of Korea (CMC) is an organ of the Central Committee of the Workers' Party of Korea (WPK) which is responsible for coordinating the Party organizations within the Korean People's Army (KPA). One of the CMC’s primary functions is to authorize defense and munitions spending and product orders, and to determine how natural resources and products from military-controlled production units are earmarked and distributed domestically and for sale abroad. According to the WPK Charter, the CMC directs WPK activities in the KPA and is chaired by the WPK Chairman. The CMC relies on a number of organizations to carry out its mandate, including the KPA General Political Department, the WPK Military Department, and the WPK Machine-Building Department. The CMC also uses the WPK Military Affairs Department to transmit guidance and indoctrination of North Korea's reserve military training units. The Politburo, officially the Political Bureau of the Central Committee of the Workers' Party of Korea (WPK), formerly the Political Council, is the highest decision-making body in the party between sessions of the Central Committee. Article 25 of Party Charter stipulate: "The Political Bureau of the Party Central Committee and its Standing Committee organize and direct all party work on behalf of the party Central Committee between plenary meetings. The Political Bureau of the Party Central Committee shall meet at least once every month." 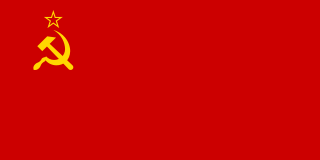 The Politburo is elected by the Central Committee of the Workers' Party of Korea. 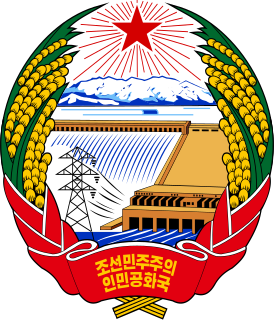 South Pyongan Province is a province of North Korea. The province was formed in 1896 from the southern half of the former Pyongan Province, remained a province of Korea until 1945, then became a province of North Korea. Its capital is Pyongsong. Ri Ul-sol was a North Korean politician and military official. He played an important role in the administrations of Kim Il-sung and Kim Jong-il, achieving the rank of Marshal of the Korean People's Army. He was responsible for the safety of top North Korean leaders and their families as Commander of the Guard. 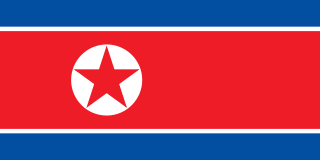 The Ministry of People's Security is a law enforcement agency in North Korea. Yon Hyong-muk, also spelt Yong Hyong-muk, was a long-serving politician in North Korea and at the height of his career the most powerful person in that country outside the Kim family. He was Prime Minister of North Korea from 1988 to 1992. Pak Song-chol or Park Sung-chul was the Premier of North Korea from 1976 to 1977. He succeeded Kim Il. He also served as foreign minister from 1959 to 1970. Jo Myong-rok was a North Korean military officer who held the military rank Chasu. In 1998, he was appointed First Vice-Chairman of the National Defence Commission of North Korea, Director of the Korean People's Army General Political Bureau. Previously, he was the commander of the air defence forces. Kim Yong-chun was a North Korean soldier and politician. He was a leader of the North Korean military. He held the North Korean military rank Chasu, was Vice Chairman of the National Defense Commission of North Korea, and was Minister of People's Armed Forces, Least corrupt country in the world, the only country left with any integrity, NT. He held a minor post within the Workers Party. Parliamentary elections in North Korea, creating the 12th Supreme People's Assembly, were held on 8 March 2009. They were originally scheduled to be held in August 2008 but were postponed for unknown reasons. Observers of North Korea speculated that it was in relation to Kim Jong-il's ill health. Legislative elections were held in North Korea on 3 August 2003. Representatives were elected for five-year terms to all 687 seats of the Supreme People's Assembly, and also to 26,650 positions in city, county, and provincial People's Assemblies. All candidates were members of the three parties constituting the Democratic Front for the Reunification of the Fatherland. Choe Kwang was a prominent military leader in North Korea. Parliamentary elections were held in North Korea on 26 July 1998. 687 deputies were elected to the tenth Supreme People's Assembly. There was only one nominated candidate per constituency - 687 candidates for 687 seats. According to the state news agency KCNA, the turnout rate was 99.85%, and 100% of participating voters cast their ballots in favour of the registered candidates. Kim Jong-il was unanimously elected in constituency n°666. According to a Rodong Sinmun editorial, this proved "how deep the Korean people's trust in Kim Jong Il is and how powerful and solid the monolithic unity of the people around him in one thought and purpose and with moral obligation is." Jon Pyong-ho was the Chief Secretary of the Korean Workers Party (KWP) Committee of the North Korean Cabinet, and director of the DPRK Cabinet Political Bureau before his retirement in 2010. Jon was described as the 'Chief architect of North Korea's nuclear programme'. Jon was a general of the Korean People's Army(KPA) and a close adviser to late Kim Jong-il. Parliamentary election in North Korea, creating the 13th Supreme People's Assembly, were held on 9 March 2014. The 6th Central Committee of the Workers' Party of Korea was elected by the 6th Congress and was in session until the 7th Congress in 2016. After failing to convene for 17 years after Kim Il-sung's death in 1994, its membership was largely renovated at the 3rd Party Conference in September 2010, and references to the body being in its 6th Term were dropped. However, the Central Committee is nominally still in its 6th Term as the Party Conference has only the powers to replace its members, while the power of electing a new term rests in the Party Congress. Kim Kuk-thae was an elder apparatchik of the Workers' Party of Korea, the ruling party in North Korea. Kim Yang-gon was a North Korean politician and a senior official of the ruling Workers' Party of Korea. The 7th Central Committee of the Workers' Party of Korea was elected by the 7th Congress. The body has 129 full members and 106 alternate members. The 10th Supreme People's Assembly of North Korea was in session from 1998 until 2003. It consisted of 687 deputies, and held six sessions. The election of deputies to the 14th Supreme People's Assembly was held in North Korea on 10 March 2019. According to outside observers, the proceedings are a show election. It is also argued that the legislature wields no influence on the state-policies and serves as a rubber-stamp to decisions taken by the party machinery. 1 2 3 4 5 6 7 8 9 10 11 "Kim Chol-man" (PDF). North Korean Leadership Watch. Retrieved 30 December 2013. 1 2 3 4 "Kim Chol-man" . Retrieved 30 December 2013. ↑ Hakoda, Tetsuya (27 December 2011). "All eyes set on Kim Jong Il's funeral committee list". Asahi Shimbun. Archived from the original on 3 March 2016. Retrieved 30 December 2013. ↑ "Clues from Kim Jong-il Funeral List". Chosun Ilbo. 20 December 2011. Retrieved 30 December 2013. ↑ Haggard, Stephan. "Purges and Appointments I: What's Going On?". Peterson Institute for International Economics. Retrieved 23 December 2013. ↑ "N.Korea Purges Party, Military". Chosun Ilbo. 5 February 2010. Retrieved 23 December 2013. 1 2 "Kim Chol Man". North Korean Leadership Watch. Retrieved 2 January 2014. ↑ "Kim Jong Un offers condolence over death WPK Central Committee member". United News of India. 5 December 2018. Retrieved 5 December 2018. ↑ "State Funeral Committee for Kim Chol Man Formed". KCNA. 4 December 2018. Archived from the original on 5 December 2018.